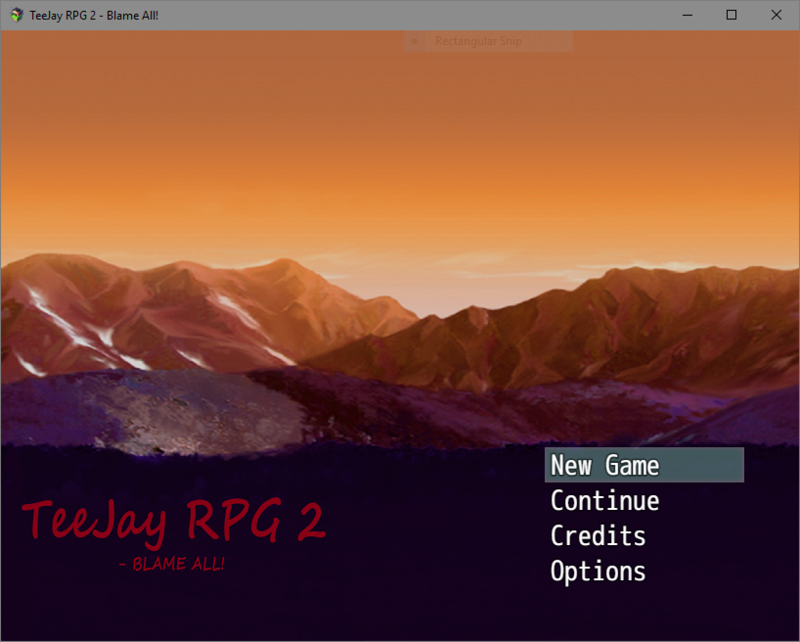 TeeJay RPG 2 - Blame All! Welcome Back to TeeJay RPG! TeeJay RPG was originally a project dedicated towards a streamer, Awesomnessticity. Similar with Failticity, it grew into it's own project for the whole gaming community! This time around in TeeJay RPG, TeeJay's Missing in action and you have to find him! Look through many worlds for clues on his whereabouts and reclaim the day while you're at it! 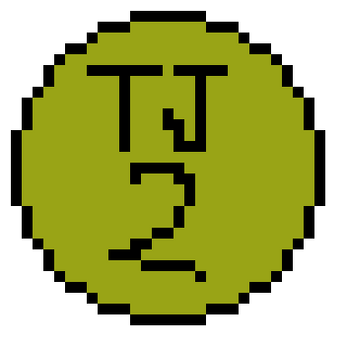 Want to join in on TeeJay RPG Online before It's up publicly? 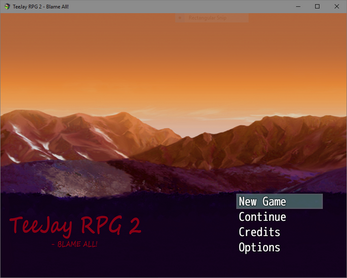 Inside TeeJay RPG 2's Game client, go to TeeJay RPG Online and sign up for a account! Then go onto Twitter and @RainbowKappaMC that you sign up (make sure to include your username so I can confirm your account). Experience Bugs? - Report them by going to twitter and @RainbowKappaMC the bug! Made in RPG Maker MV for Indie Game Making Contest 2018, Project WIP. …and Thank You for Supporting me! Closed Alpha for TeeJay RPG Online!